All smartphones have increased our access to the internet on the go. But along with this comes the problem of online security. The security is always at high risk in the online world. One of the best measures that one can take for the iPhone is to use best VPN client for iPhone. iPhone is coming up with new exciting features in almost all updates. Just a few days back they have introduced the latest version (iOS 11.4) for iPhones and iPads. This newest software now supports messages in iCloud. Now when you set up a new Apple device, you can access your complete message history. This will be helpful for people who want to save message history but do not have enough space on their phones. The user will thus get more open space for downloads and other applications. There are updates for Home Pod speakers and the launch of AirPlay 2. Though Apple has an end to end encryption, it is always better to take extra measures. Use the best VPN client for iPhone to safeguard the information on your handset. What Is The Best VPN Client Software Used For? A Virtual Private Network is a popular method for masking your IP address. Once you substitute your IP address with that of the VPN service provider’s, your original IP remains hidden. The best VPN client for iPhone makes use of end to end encryption to ensure complete security of your data. It lets you browse the internet anonymously. Additionally, you are secure from hackers and other online threats. This way, a VPN takes care of your online security and privacy. However, you must opt for a reliable VPN service provider like Le VPN. If you frequently use the internet on your iPhone, then you must opt for VPN service from Le VPN. It gives you a high level of protection when you make use of a Wi-Fi hotspot. Le VPN maintains complete privacy of the VOIP calls. You can securely transfer confidential files and data. With Le VPN, you get an encrypted internet connection. Le VPN allows you to select from different protocols like OpenVPN, L2TP over IPsec, HybridVPN or PPTP. Le VPN supports 4G/3G/GPRS mobile Internet connections. The user can easily shift unlimited times between servers and protocols. You can quickly overcome the internet censorship with Le VPN. 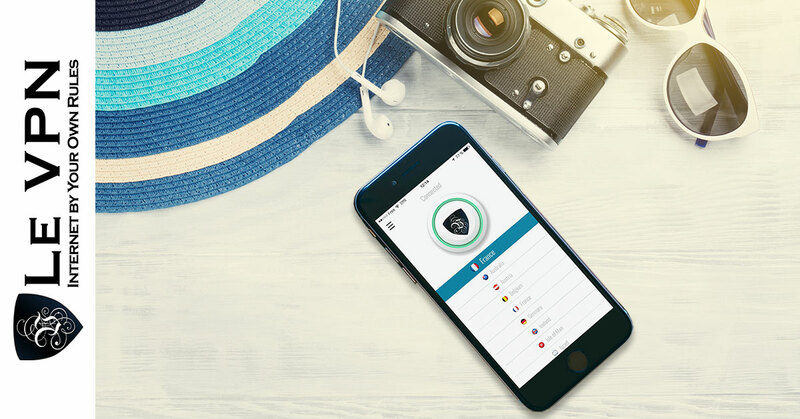 Just opt for a very affordable package from Le VPN and enjoy complete security on your iPhone. Le VPN is among the best Apple TV VPN. Just download the Le VPN iPhone app from the Apple store for no additional cost. The app has all the features that are available for desktop and tablet users of Apple. Subscribe to Le VPN today and browse the internet with peace of mind.